San Francisco’s premier annual music, food and arts festival, Outside Lands, will be returning for its eighth consecutive year from August 7-9 at the historic and always beautiful Golden Gate Park. This year’s lineup has been revealed and it’s a doozy, as per usual. 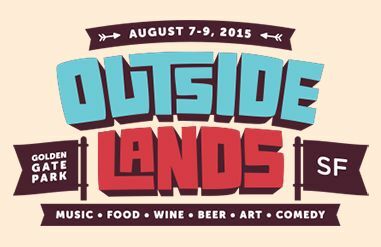 Apart from all the endlessly delicious foods, beers and wines, Outside Lands will feature Elton John, Mumford & Sons, The Black Keys, Kendrick Lamar, Sam Smith, Wilco, St. Vincent, First Aid Kit, Billy Idol, D’Angelo and the Vaguard and way too many more to mention. You can view the full lineup below via ridiculously awesome Funny Or Die video featuring Orange Is The New Black‘s Lauren Lapkus and 49ers linebacker Aldon Smith. Tickets will go on sale this Thursday at 10am PST. Follow Ranger Dave on Twitter for updates and expect pre-fest coverage here at UTG in the coming months. See you at the festival! We’re expecting much more to be announced in way of comedy and all the delicious treats as currently the lineup seems small in comparison to previous years and doesn’t appear to include a lot of the bonus experiences we’ve grown accustom to seeing from the festival.